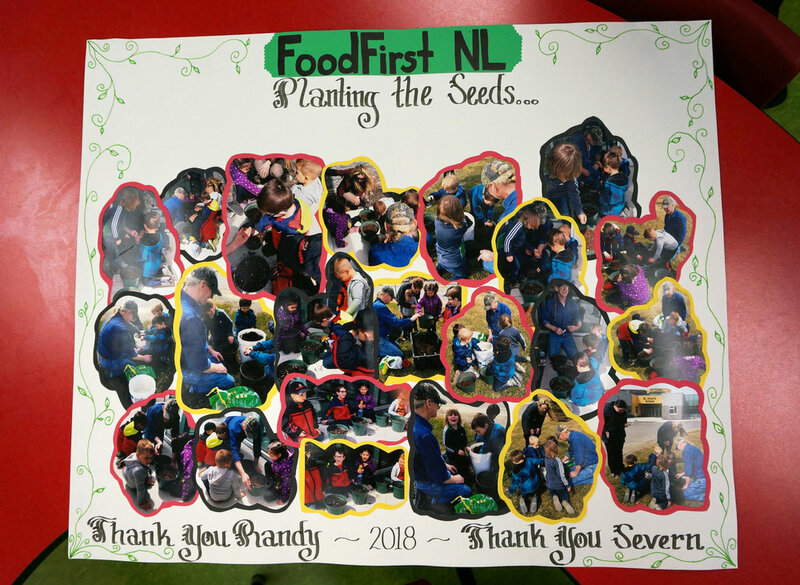 Food First NL recently received multi-year federal funding from the Public Health Agency of Canada to scale out the success of our community-led food assessment model. The model is used to identify issues that affect a community’s access to healthy, affordable, and culturally appropriate food. Surveys conducted as part of our CLFA work in Pool’s Cove revealed that levels of satisfaction with access to healthy, affordable food in the Pool’s Cove community was low. Almost every household surveyed (98%) expressed their desire to see a change in food security in Pool’s Cove. When asked what they felt was needed to improve food security in their community, the most common answer was to farm or grow more of their own food (62%). Improvements to this end have begun! Josephine Marshall is our Food Security Coordinator in Pool’s Cove. She recently put herself and her family to work and built a new community garden in Pool's Cove, using upcycled bins from the fishery. The fish bins were provided by Doug Caines, Manager of Northern Harvest Sea Farms, as they had no more use for them. With some help from her husband Mason, daughter Bonnie, and son and daughter in laws Colin and Xanta, they’ve gone beyond the community garden, and set up a greenhouse on site as well. “We had a great time at this,” Josephine says. “The greenhouse is looking after our tomatoes, peppers, corn, kale, and strawberry plants, and in our garden we have potatoes, carrots, turnip, cabbage, rhuarb, and onions. 74% of people polled in Miawpukek said they wanted better access to food, yet only 4% of respondents said they consume food they grow themselves. To educate locals on gardening for sustenance and encourage it at a young age, our Food Security Coordinator in the area, Severn Jeddore, has helped establish a pre-school gardening program. "The Pre-Kindergarten vegetable growing project was the brain child of the pre-kindergarten teacher, Ms. Valarie Hoskins," Severn explains. "Earlier in the school year, Mrs. Valarie had started growing a small aloe vera type plant with each of her students, which the children became extremely invested and interested in. "It was due to this investment and interest that she saw fit to start a program based around the growing of small vegetables with the students. 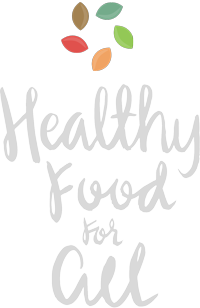 Through this program they would gain an understanding and appreciation for healthy foods and where they come from." At this point, Valarie reached out to Severn, to see if she was interested in helping aid in the project. An idea to use a mobile cart was proposed so that the vegetable plants could be wheeled from the inside of the classroom at night, to the outside of the school during nice days, to provide optimum growing potential. The mobile cart was constructed and designed by Dan Jeddore. After this was completed, Valarie, Severn, and Food First Committee member Randy Benoit, a local gardener in Miawpukek, aided the children in planting their vegetables. Each child had their own pot to look after and water, as their school schedule permitted. The children have become very invested in their plants, and tending to them has become a highlight of their day: through the instruction of their teacher, the children have also come up with a gardening song to the rhyme of Frère Jacques. Their plants are growing extremely well and will be transplanted to an outdoor garden by the end of the school year. Surveys from Rencontre East revealed that 86% of respondents wished they had better access to nutritious food, and like other communities in the area, the people of Rencontre East have expressed a desire for a community garden. Our Food Security Coordinator in Recontre East, Peggy Caines, is overseeing a few gardening projects – like planting potatoes and carrots at a local school – but most recently, she’s established a heritage community garden, and it’s a neat story. There has been a line of rhubarb plants in her family for over 150 years, since her great-grandparents set them in soil on a family plot. When her sister decided to do some landscaping on the family property this year, which would entail removing the rhubarb, Peggy decided to uproot the rhubarb and replant it. She used the transplanting as an opportunity to establish a new heritage community garden in Rencontre East. She’s built some raised beds for the rhubarb, and there will be signage detailing the history of the plants. Because of this, other members of the community have started sharing stories about vegetable plants that have been in their respective families for decades too. The idea now, is to have a heritage garden that shares these heritage vegetables and fruits among the community, alongside other produce, and to tie this garden in with the abundance of wild strawberries in the area. The grown goods and wild goods will be linked with signage that encourages people to partake of them both.